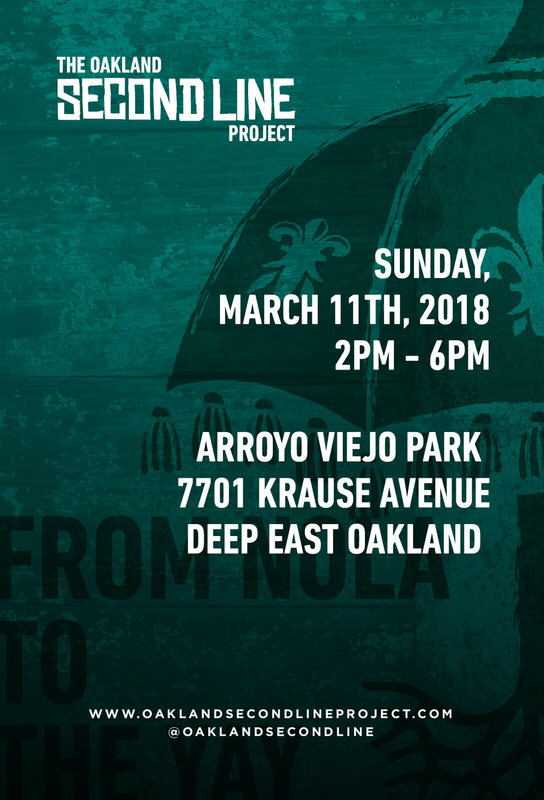 The Oakland Second Line Project is a free cultural community experience bringing the authentic African roots of Second Line History and spirit of community building from New Orleans to POC communities of Oakland, Ca. The culminating Second Line and celebration of the ancestors will be led by Big Chief "Hatchet" aka Ray Blazio, East Oakland resident, Hurricane Katrina survivor, and founding member of the historic New Orleans Mardi Gras Indian tribe, The Wild Apaches. Click Here to Volunteer, DOnate, Etc.